Experience True Paradise in Puerto Plata! 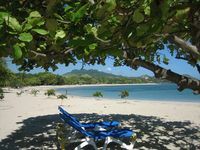 Property 14: Experience True Paradise in Puerto Plata! Property 17: LOWEST All Inclusive Fees -- HIGHEST Level of Benefits! No Resort Fees! Property 18: By The Beach, Comfortable, Quiet, Secure And Central. We Make You Feel At Home. Ocean View . 6BR Villa with private pool. Daily housekeeping & cook included. Property 20: Ocean View . 6BR Villa with private pool. Daily housekeeping & cook included. Property 23: Studio Presidential Suite- Lifestyle Resort- Chairman's Circle- VIP Gold Bands! Private family oriented oasis right on the beach! Property 36: Private family oriented oasis right on the beach! Property 45: Lavish Ocean Front 2 Bedroom Suite - Lowest All Inclusive - $65! !